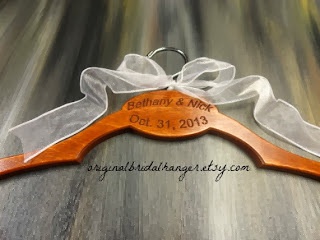 AMY'S ORIGINAL BRIDAL HANGERS: What's New! 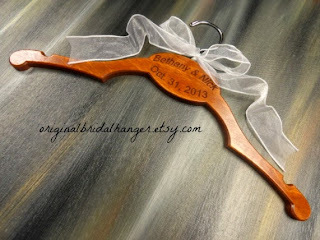 I am so excited about my new hanger. This one is created in the U.S. by my shop. I love how it has turned out. It is unique compared to the other hangers on the market right now. 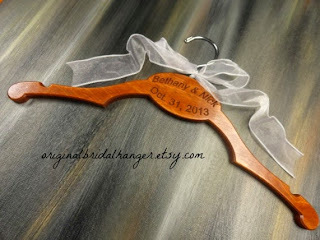 This hanger is stained with cherry wood stain and sealed with clear varnish. It has been engraved with the bride and groom's name and their wedding date. Other words or sayings may be engraved if you would like. 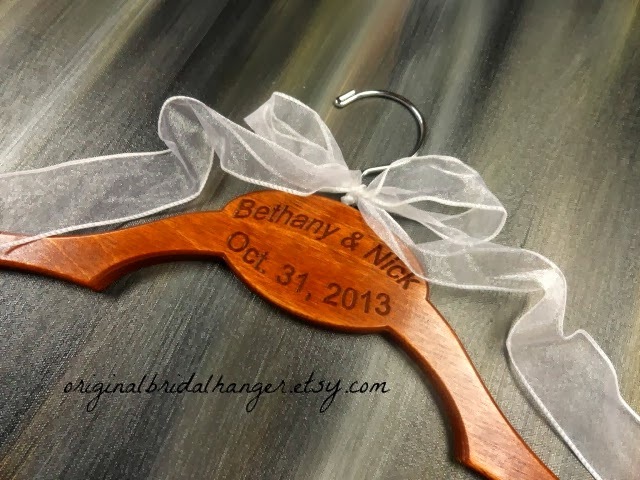 You may also have this hanger created without the engraving. It will still be a lovely hanger for your wedding dress. This hanger is listed without personalized wire. It is very nice and will make an awesome wedding photo prop even without the wire. Feel free to stop by my shop to check out my unique creation. 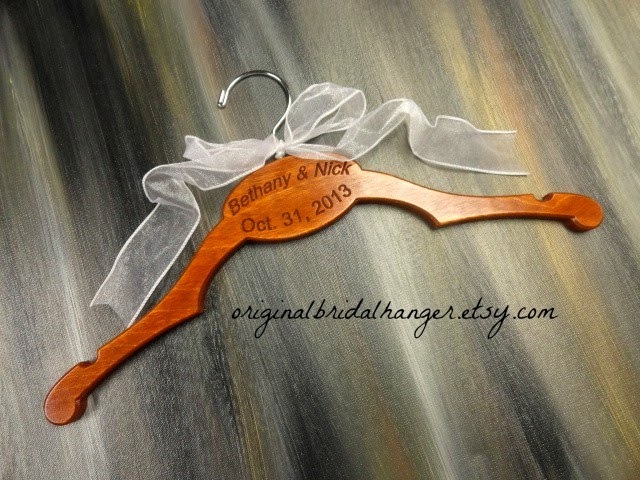 They make great gifts for bridal showers and wedding gifts.